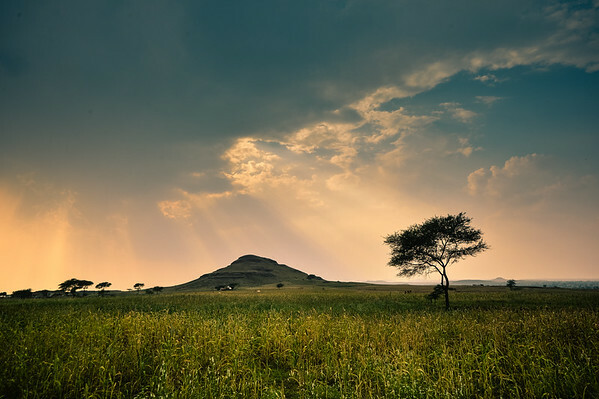 Travelling along a lonely road.. and you suddenly see a magical view - light rays, hills, clouds, grassland and a solitary tree all perfectly aligned. Stop! Stop! Stop! You scream at the guy driving, grab your camera bag from the boot, jump off the road and start running through the grass towards the shot. Standing there while admiring the view, you trip the shutter and you realise it's Nirvana.